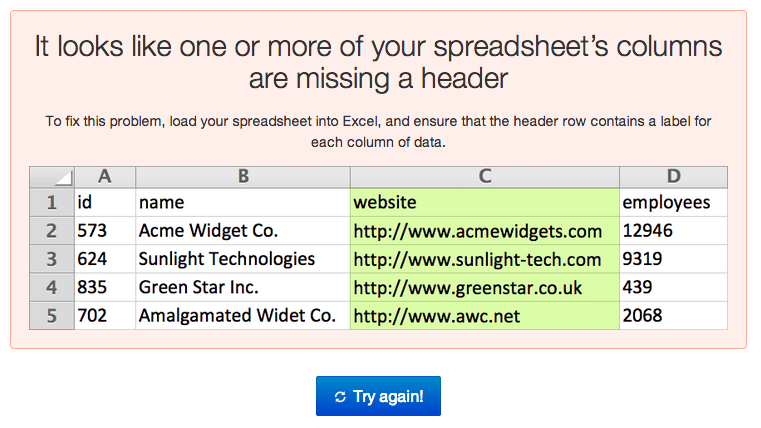 We’ve made a new tool to help you upload a structured spreadsheet. That is to say, one that contains a table with headers. I’m trying it out with an old spreadsheet of expenses from when I worked at mySociety. If your spreadsheet isn’t consistent enough, it tells you where you’ve gone wrong. In my case, I didn’t have a clear header. It was easy to add the header, then the spreadsheet uploaded into ScraperWiki. 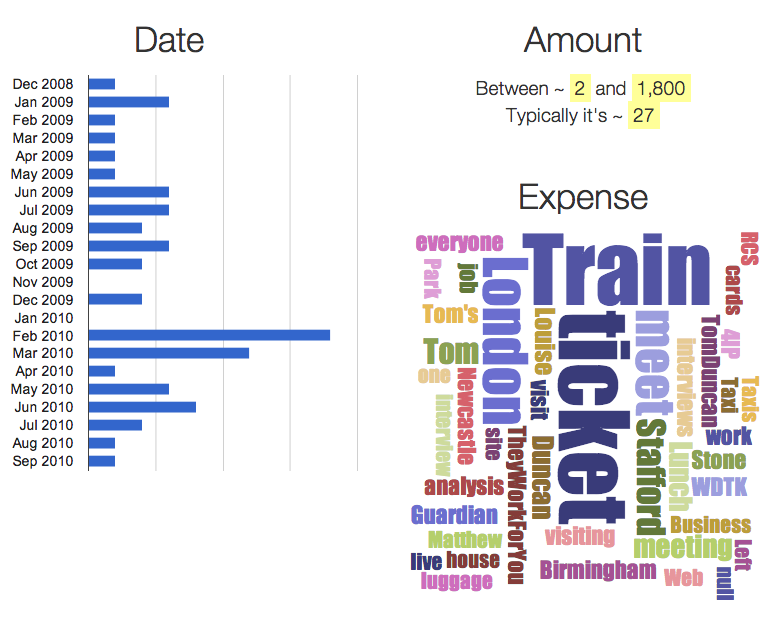 I then used the “Summarise this data” tool on my expenses data. You can immediately see from the expenses in that period, that the median amount I claimed was 27 pounds (and one large amount of 1800, odd). Try for yourself! Register on ScraperWiki, and pick the “Upload spreadsheet” tool from the “New dataset” chooser. P.S. What if the spreadsheet is a bit more chaotic? We’re working on that too, in a separate tool. If you’re a coder, for a taste of what’s behind it, see the okfn/messytables and scraperwiki/xypath Python libraries.